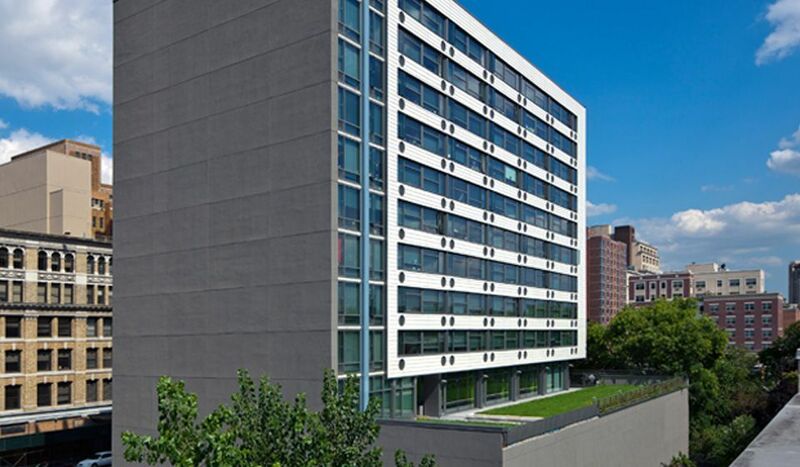 The Actors Fund and Breaking Ground Community joined forces to develop this unique, 217-unit residence for single adults in the heart of Downtown Brooklyn. At 160 Schermerhorn Street, we provide 100 studio apartments for eligible individuals from Community Board 2 and the performing arts. The remaining apartments house formerly homeless individuals living with HIV/AIDS or mental health needs with on-site social services provided by our partner agency Center for Urban Community Services (CUCS). The Schermerhorn also houses The Actors Fund Arts Center, a 2,000-square-foot, state-of-the-art performance space and multipurpose room. Residents and community arts organizations may use this space for rehearsals, performances, films and exhibitions, enriching the vibrant and growing Brooklyn arts culture. We provide housing in compliance with federal fair housing laws. Eligibility for The Schermerhorn is based on federal Low-Income Housing Tax Credit Guidelines. Applicant's gross income from all sources (employment, benefits, asset interest) cannot exceed $38,100 and not be less than $21,770. Monthly rents start at $635. The Mark O'Donnell Theater at The Actors Fund Arts Center is a state-of-the-art black box performance venue and rehearsal space located at the lobby level of The Schermerhorn in downtown Brooklyn. The Housing Resource Center provides seminars and information on finding affordable housing, roommate and home sharing, tenants’ rights, housing court and purchasing your first home. The Actors Fund maintains this Housing Bulletin Board for our community as a courtesy to provide a professional, convenient and easily accessible way of finding housing options.